Beginning in the north: Orange is a blizzard warning (meaning high confidence) and light green is a blizzard watch. 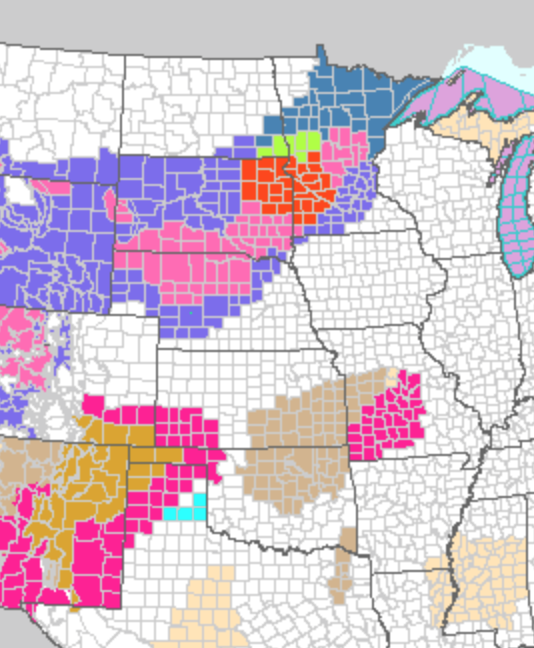 Pink is a winter storm warning Blue is a winter storm advisory (lesser condition) Hunter green (northern MN) is a winter storm watch. Farther south. Magenta and light brown are high wind warnings for high wildfire danger.